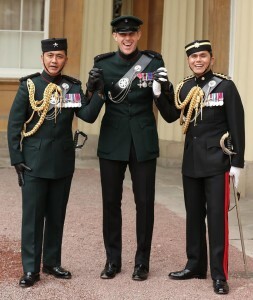 Major Andrew Todd, of the Royal Gurkha Rifles, who helped rescue climbers from Mount Everest following the massive earthquake in Nepal in April 2015 received his MBE from HRH The Prince of Wales at Buckingham Palace on Friday 18th November 2016. 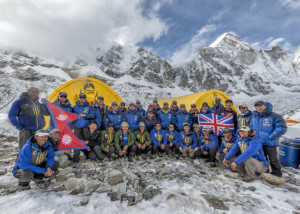 Major Todd, was deputy leader of the G200 Everest Expedition, the attempt to put the first serving Gurkha on the summit to mark the 200th year of Gurkha service to the Crown, when the quake struck on 25th April 2015 causing an avalanche on the mountain which killed 22 climbers. 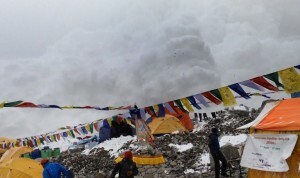 After two nights and three days, Major Todd was instrumental in evacuating all 116 climbers and Sherpas to the safety of the Base Camp from Camp 1 in a limited 5-hour weather window. In the weeks following the earthquake Major Todd, who has served three tours of Afghanistan, co-ordinated the team in providing medical support and emergency relief to the villages along their route as they trekked back to Kathmandu and supported the UK relief effort.